SC: I want to welcome you all to another edition of Watch Out. This week I’m pleased to bring you Charlene A. Wilson. Welcome to Watch Out, it is so great to have you here. Thank you so much for having me. It’s a real treat. I live in a small community in Arkansas with my two daughters. They are my biggest supporters and giggle partners. And, of course, I can’t forget my cat, Chester. He enjoys trying to hog the attention by sitting on my keyboard. I love Paranormal Romance. It stretches the imagination, pushes the limits. Anything can happen. My Chronicles of Shilo Manor series stories take you to other dimensions where magic, rebirth, and soul mates are a part of life…at least for the Shilo brothers and those in their lives. I do have Urban Fantasy stories in revision and look forward to sharing those. Sure, I’d love to. Cornerstone Deep Echoes is the second instalment of the Cornerstone Deep books in my Chronicles of Shilo Manor series. It’s a 2013 EPIC Ebook Awards nominee, Paranormal Romance division. Cole and Mianna’s story continues. All should be perfect, but that’s just not the case. The past isn’t what it seemed and the truth comes out in a shocking surge of events. Nothing will be the same…including Cole and Mianna’s relationship. Lord Dressen makes sure of that. I guess this depends on the mood I’m in. I love to relax with an old fashioned turn the paper page book. I love the feel—the paper edge on my fingertip as I turn the page and then run it down the print to flatten it to the book and read. But, also love the ebooks. I’m old-school and, to be honest, they are so cool! It’s amazing! Lol. They both have their place in my life. That would be the characters. For so many of them, they are who they are. Though I might try, there’s not much changing that. I can’t stop Cole from reading emotions any more than I can stop James from manipulating the elements or Vincent from blowing things up with his energy bursts. They’re from Meridian in my Chronicles series. It’s their nature. And Chad and Styne from Aumelan can’t help that they need a host to survive. My characters tend to be sorts that would fall under a paranormal/fantasy title. Maybe that most of my stories began as scenes in dreams I’ve had. At least five books I’ve written have several scenes that come directly from those lucid dreams. Chapters three and fourteen of Cornerstone Deep, book one of the Chronicles, is practically step for step what happened. Cornerstone Deep Echoes also has clips from that dream. Chapters twenty-six, and twenty-nine of Aumelan, book one of the Aumelan series, are also scenes from a dream that series grew from. There really are several others, and I could also mention scenes within my YA stories, Tam and Treacle Tart, but this answer would get pretty long if I listed them all. Lol. SC: What is the biggest misconception you think people have about authors, and or the genre that you write? Well, I think a big misconception about being a published author would be that we all are instantly famous, travel the world, and our books will be the next box office hit. Lol. Wouldn’t that be something if that happened to every author? Hmm. When I mention what genre my books fall under, I’ve often had people look at me with a wry smile and say, “A vampire book, huh?” Paranormal Romance takes in such a broad range of topics. And my books do too. Dimensions, magic, otherworldly, reincarnation, soul mates, suspense… Just not vampires. Lol. Well… Aumelan does have a nation of outsiders that could be classified as…energy vamps. Does that count? Lol. Dark Heirloom, by J.D. Brown. (Yeah, a vampire book. Lol). Love it! While self-publishing isn’t my choice, it works well for others. I think each author should do what they feel is right for them. I do hope they take steps to ensure the best final result. As a reader, I get irritated when I buy a book and find care hasn’t been taken in edits and formatting. I want to relax with a good read. Stumbling over such things makes me grumpy, and I end up tossing it and passing on that author in the future—whether traditionally published or self-published. SC: What is your opinion on financial companies enforcing censorships on publishers with regards to the content that they are able to sell and not sell? Ooo, a controversial topic, there. Okay… If I own a company, I want to be able to set my own rules. Customers can always use someone else. Of course, I’d lose some customers. That said, I believe everyone has the right to publish what they want. Nobody has the right to take away that freedom. SC: Every author deals with rejection in their career. What is your advice when it comes to rejections? You’re right. We all deal with it, whether it’s from a publisher or a peer. My advice would be to accept them and move on. If the rejection comes with reasons, take a look at them. Are they right? Is there something you could do to make your writing better? If so, utilize it. Make it better, grow. None of us are perfect. We can always improve, hone our skill. SC: What’s your cure for procrastination? SC: How important is a book cover when it comes to your work? Book covers are a book’s first impression. While we shouldn’t “judge a book by its cover” or act on first impressions, the fact is, so many of us do. I think care should be taken when creating a cover to represent your work. I do look at reviews as a reader. But, even if there are bad reviews, I don’t pass on the book. Some of the things that person didn’t like about it might be things I would. It’s obvious when some reviewers just want to boost or tear down a work. It’s a shame when that happens. Those I ignore. Many authors follow the crowd and intentionally write a story to capitalize on the current trend. My Chronicles and Aumelan books are original. The settings, the plots, the direction… These series take you to new worlds and ideas. Want to get away from the norm? Here you go. Vincent paused and looked at her face more fully. She really wanted to talk right now? From the time he’d left to search for the beads, she’d end their calls with promises of intimacy upon his homecoming—promises that dominated his mind and drove him harder to find the charms so he could return as soon as possible. He hitched his leg around hers. Elaina’s sweet smile sent sparks to her loving eyes. “But I’m married to a Meridian man. A glorious, wonderful, chosen soul who travels the realms. That has to mean that more gods are involved in our lives.” She placed her hand on his jaw and kissed him with a feather touch. Then, for the first time since they’d said their vows, she rolled over to her side of the bed. Confusion morphed his mind. Where was the heated embrace? The desperate clinging? The proclamations of love? He kissed her strawberry hair, pulling her to him. With a deep breath, he ground his hips into her backside and savored the dip of her firm buttocks against his groin. Heat pulsed in his core. “I’ve been gone for a week, searching for Father’s beads.” He led his lips to her neck and slid his hand along her abdomen, allowing the softness and warmth of her skin to heighten his desire. Sleep? Is she serious? As she settled into her pillow, she cupped his hand with hers, halting the tender caresses. Dear, God. Shock rushed him. She’s is! He lifted his brow. Somehow, the earth-toned montage looked charming on her. She wasn’t the same girl he had tried so hard to lose games to in his youth. The flash of thrill that would light in her eyes had set endearment in his heart each time. If only he’d known his father had called for her penitence when she bested him—he would never have lost. Long hair brushed at her cheeks as she watched her steps along the trail. Her mouth moved with silent words, her lower lip dipped into a natural pout. Shadow overtook half her angular face as her hand twitched in time with the raising of her brows. Reciting instructions again, Dee? He grinned, knowing well her habit. Slowing his pace, he allowed her the chance to walk beside him. She shuffled to a stop and her brown eyes peered at him with a hint of question. He gazed into them, his slate stare teasing the perimeter of their placement. She flushed and looked away. His lips pressed into an understanding smile. It wasn’t a fair act on his part, he knew, but the nerves danced in his stomach. It would take only a word, or in his case a directed thought, and she’d be as close as he desired. He blinked to the side. But, would it also be her desire or a response to his command? With a tempered sigh, he scrubbed at the back of his neck and stepped into a turn. His short hair stood on end and itched at his scalp as they gradually broke from the sweaty hold. He swiped at it again, this time plastering it to his head. Lifting his crystal torch, he veered off the main tunnel and into a narrow byway. She shared his love of excursions through the Hollow Hand—of that, he was sure. It will have to be enough. His thoughts paused as he attempted to put it out of his mind. Light reached deep into the pass. Water trickled, its faint echo playing alongside the scuffle of their steps. Keeper and server. He shook his head, denying the fact. Agitation bubbled in his gut, as he couldn’t push the topic aside. With each footfall, his heart beat out possibilities. Would she want him if it were allowed? If the only thing that separated them was the space between them? Images of holding her warmed his blood and he took a deep breath to relish the sensation further. His palm tingled. Sparks flashed and air punched from Chad’s lungs. He rolled back on his heal, landing a firm foot behind him to brace his stand. Scrubbing at his brow, he opened his eyes to the jagged ledge. Reality rushed back to him. Low passage. He looked at his servant and her gaze darted to the rubble floor. Damn. Wide chocolate eyes looked up at him and her head jerked to the side as if she caught her show of refusal mid-shake. Learn all you can. Ask questions, take advice, and believe in yourself. Look me up! I’d love to connect. It’s their nature – long lives and rebirth. They’re from another dimension, one gifted with advance abilities, but they serve in Cornerstone Deep. They’re the Wizards of Shilo Manor. They outlive the mortals of this realm by thousands of years, and when it comes to love the cruel fact is reinforced. Reincarnation doesn’t exist on this plane. They lose their wives to death with no hope of reuniting. Yet they continue to accept others for whatever time they have together. Save for Cole. His love for his last wife still burns in his soul four centuries after her death. Breaking ancient covenants, angering the lords, and bringing the gods’ wrath upon him, Cole tries desperately to undo his wrong and free his love—despite the determination of the nobleman to keep her. Charlene, the pleasure is all mine. thank you so much for being my guest. I loved getting to interview you. Hey, I had to stop in and support one of my favorite authors, Charlene Wilson! Wow, I wasn’t expecting to see MY name in this! Thanks, Charlene. 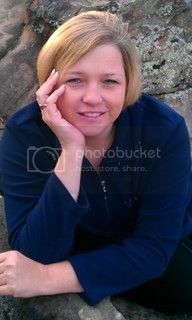 I think this is your best interview yet, Charlene, and you’re totally right about Cornerstone Deep being original. I’ve never read anything like it before. 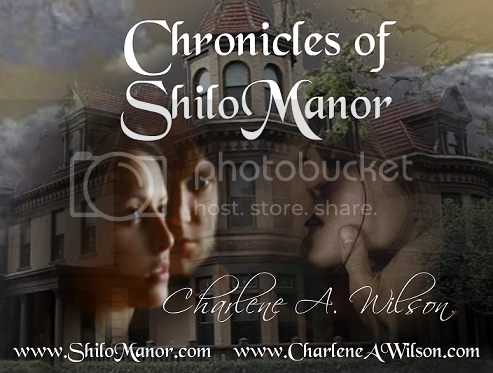 The Chronicles of Shilo Manor challenges its readers in all the good ways while still delivering a classic love story. Beautiful! Hi Charlene Hi Savannah enjoyed the interview very much. Good luck to you.